TOTTENHAM Hostpur manager Mauricio Pochettino inists Chelsea is favourite to win the FA Cup semi-final between the two at Wembley Stadium despite his side's run of seven straight league wins. 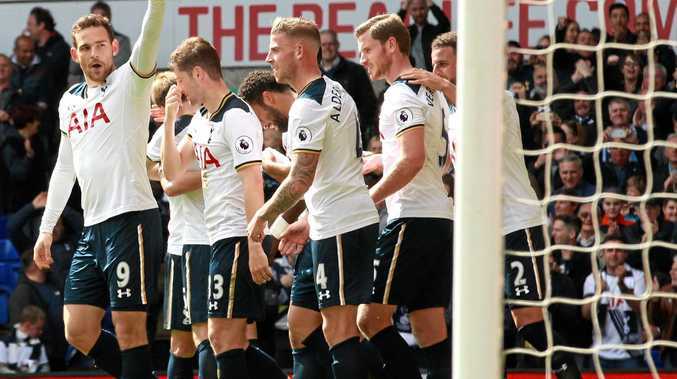 The top two teams in the English Premier League will go head-to-head with Spurs just about favourites in most punters' eyes after Chelsea's recent wobble which has allowed Pochettino's men to close the gap at the top of the EPL ladder to four points with six games remaining. But the Argentinian sees things differently. "I think if there is one favourite it's Chelsea because they are top of the table, because of the experienced players and the manager that they have," Pochettino said. "We are talking about one of the best teams in Europe. "Players that in the past five years have won European competitions and World Cups, a manager who won the league in Italy. They are more experienced than us. "But we are in a good moment, too, and we are hungry to challenge this type of team. We are happy to fight with the best team in England for the Premier League and (FA) Cup." Pochettino, in his third season in north London, is yet to win any silverware with Tottenham but if trophies were awarded for progress, he would be ahead of his rivals. Since the start of last season Spurs have taken 141 EPL points - 11 more than Manchester City and 16 more than Chelsea. "I remember three years ago when we signed here I remember the first few press conferences and I was asked how we can reduce the gap to the top four," Pochettino said. "That was the main problem that Tottenham had. Now after three years not only have we reduced the gap to the top four we are fighting for the Premier League and to win titles. "With six games to go we have 71 points. Last season we finished with 70. We have improved - that is a reality. The team is playing in a good way, exciting football, scoring goals and not conceding too many chances. "We have great momentum and that is the most important because that can change very quickly." The other semi-final is on Sunday night between Arsenal and Manchester City.